Dave Grohl And His Mom Virginia On How To Be A Rock Mom - GENRE IS DEAD! 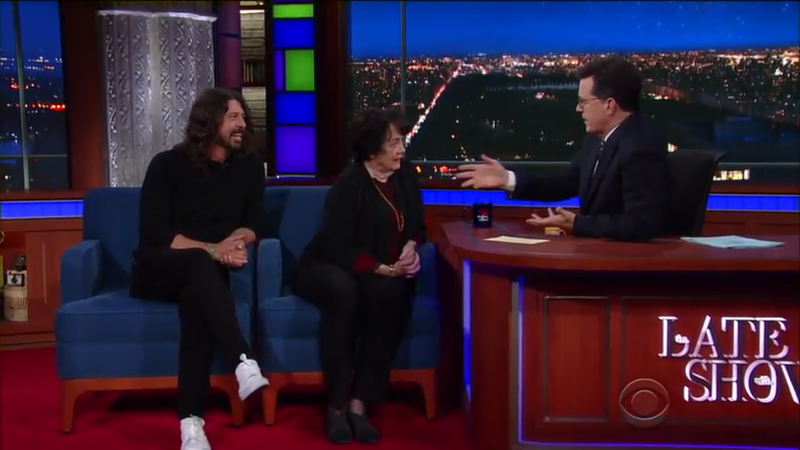 Dave Grohl and his mother Virginia Grohl recently visited Stephen Colbert’s The Late Show to promote her new book “From Cradle To Stage”. She talks about the challenges of raising a rockstar kid such as dealing with Dave’s horrible grades in school because he focused on music at an early age. Virginia also talks about meeting Kurt Cobain’s mother and how his death changed her relationship with Dave. Make sure to watch the full interview below, Virginia is such a charming person!